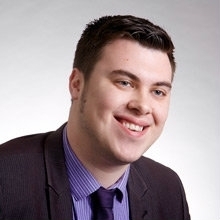 Jon-Paul joined Wirral Sensory Services in January 2010 having graduated from Newcastle University with a BA (Hons) in Business Management & Marketing. His interest in brands and consumer perceptions within the food industry has enabled him to steadily progress within the company where he now oversees research projects for one of our major clients. Jon-Paul has recently been working on developing the new website as well as marketing materials. His enthusiasm for digital research has proved invaluable in developing the New Media capabilities within WSS, including the use of Smartphone technology.